Biography: Prof. Adam Waldemar Skorek, M’87, SM’90, F’09 completed Master of Electrical Engineering Program at Białystok University of Technology (Poland) receiving both Master and Engineer degrees in 1980. He received a Doctor of Technical Sciences Degree in Electrical Engineering at Warsaw University of Technology (Poland) in 1983. On 1987, he joined the University of Quebec at Trois-Rivières (UQTR), where currently, he is a Full Professor and Director of the Research Group on Industrial Electronics. He founded the UQTR’s Electro-Thermal Management Laboratory which succeeded both the NanoHeat Laboratory and the UQTR’s Industrial ElectroHeat Laboratory founded and directed by himself since 1989. He is conducting the electrical engineering courses for bachelors, masters and Ph.D. students. His research works was granted by NSERC, CFI, FRQNT, MITACS and industry. He published and co-published over 130 papers including works on High Performance Computing applications in electro-thermal analysis. He is currently representative of the UQTR at the Canadian Microelectronics Corporation. Volunteering more than 30 years in IEEE, he contributed on various positions including the IEEE Fellow Committee Member and the IEEE MGA Awards and Recognition Committee Chair. Biography: Prof. Qi Huang received his M.S. degree from Tsinghua University in 1999 and Ph.D. degree from Arizona State University in 2003. He is currently a professor with University of Electronic Science and Technology of China (UESTC), the Associate Dean of School of Automation Engineering at UESTC, and the Director of Sichuan Provincial Key Laboratory of Power System Wide-Area Measurement and Control. His research interests include power system high performance computing, power system instrumentation, power system monitoring and control, sensor network for electric power system security infrastructure, and integration of distributed generation into the existing power system infrastructure. Biography: He got his Ph.D. degree from Tsinghua University in June, 1988. Before joined in Wuhan University in 2010, he was a full professor with Department of Electrical Engineering, Tsinghua University. 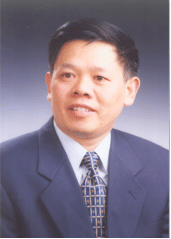 He severed as Associate Director (2006-2010) of State Key Laboratory of Power System Control and Dynamic, Tsinghua University, and Dean (2010-2013) of School of Electrical Engineering, Wuhan University. He was a Specially Appointed Professor of “Chang Jiang Scholars Program” (2000-2005) organized by Chinese Ministry of Education. He was supported by NNSF of China for Distinguished Young Scholar in 1999 and Oversea Cooperation Funds for Young Scholar in 2000. He was the Chief Scientist of two major programs supported by NNSF, with total funds more than 3 million dollars. He was Expert Member and Assistant Chief Scientist of Major State Basic Research Development Program (973) “Basic Research on Improving Reliability of Large Interconnected Power System”. He was the PI of the world’s first wide-area damping control project which is practically on operation in Guizhou power grid of China. He is an internationally recognized expert who advocates using heavily energy-computation industrial loads to accommodate wind power. He received National Natural Science Awards of China in 2008. Prof. Sun has published over 150 peer-reviewed academic papers and eight monographs in Chinese or English. Ma Hongzhong, 1962.7 , male, member of the Jiu San Society, Ph.D., professor, doctoral tutor, director of the Institute of Power System Automation, Hohai University. Mainly engaged in power equipment condition monitoring, fault diagnosis and health warning research. "Circuit", "Electrical Science", "Power System Remote Monitoring", "Power Engineering", "Electrical Equipment" (undergraduate) and so on.